See that crockpot full of gooey yumminess! It’s never that full when I bring it home. I promise you that! I made “My Meatballs” over the holidays, and have had a couple people ask for the recipe. After I laugh – because there really isn’t a recipe – I gladly tell folks the secret to awesome cocktail meatballs. And, I’m gonna share it with you too. 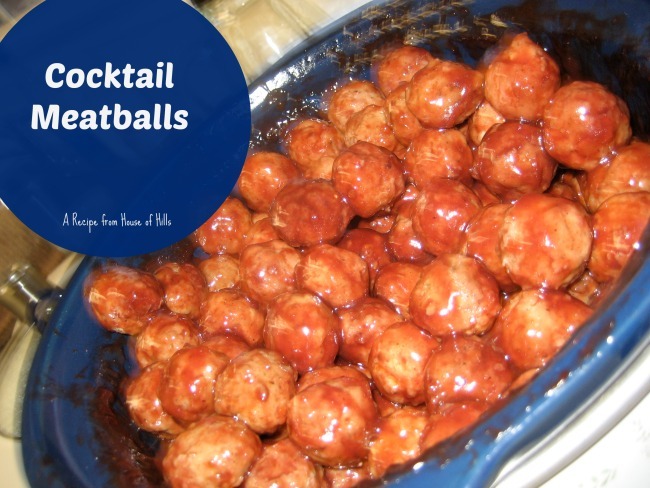 There are many variations of these cocktail meatballs out there, but here is what I use. 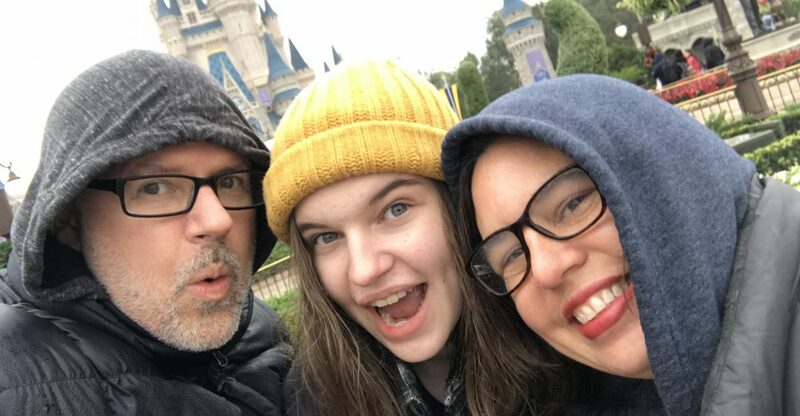 Yep – that’s it! 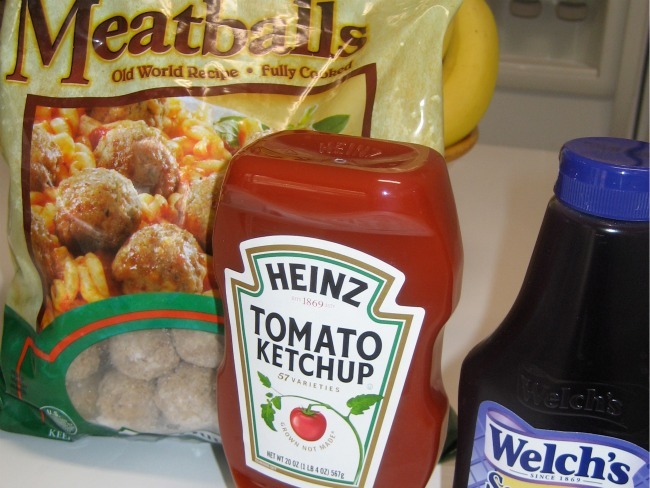 Frozen meatballs, ketchup, and grape jelly. That’s all there is to it. I only use Heinz brand ketchup . I only use Welch’s brand jelly . I have used others and was not happy. You want equal parts (or as close as you can get) ketchup and jelly – so look at your ounces. I am picky about what frozen meatballs I use. This particular brand is sold at BJs – a local warehouse store. It’s my favorite. The meatballs are small and Italian. You can find ones you like at your local store. You could make your own, but that would just be way too much work for me. 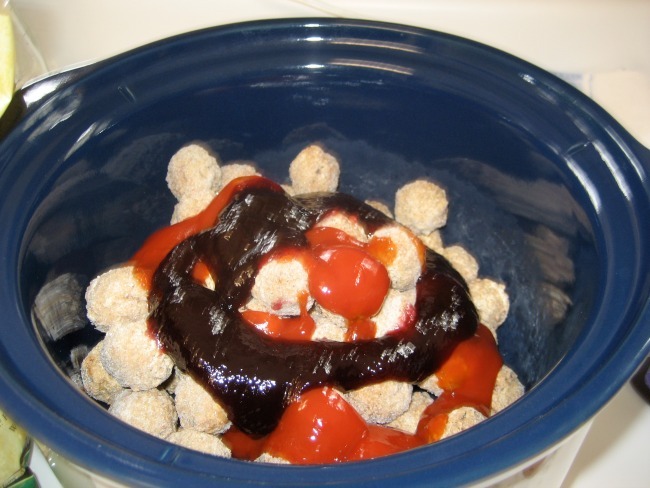 You dump half the meatballs in the crockpot and put half the jelly and half the ketchup. 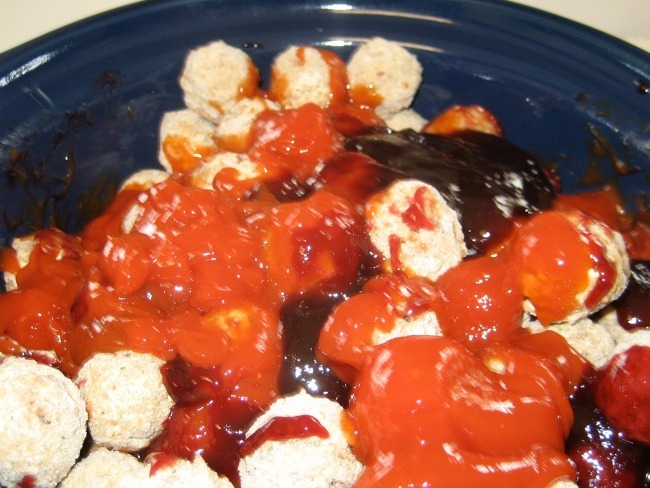 Then, add the rest of meatballs and the rest of the jelly and ketchup. Use a large spoon to mix it all together. Put the top on the crockpot and let it cook on low for 2 -3 hours. You DO NEED TO STIR it every 30 minutes or so. It takes about the first hour for the ketchup and jelly to start start blending together. And then, it starts to smell heavenly. Mmmm…I’m getting hungry just thinking about it. People are always excited when I bring the crockpot full of cocktail meatballs into an event. Try them at your next gathering! Linked to Grocery Cart Challenge Recipe Swap. Ketchup and grape jelly? Who would ever think that is what makes them so tasty! This looks quick and delicious. I am certainly trying it. do you put the meatballs in frozen or thawed? Arlene – I usually throw them in there frozen and let the crock pot do its magic.